Pardon our gushing but it’s not everyday one sees a Jaguar E-Type series 1 (1961 – 1968) roadster casually parked in a 30-minute green zone, top down, one window rolled up and the other down. It’s an XKE to most of us but the official designation is E-Type. Whatever you choose to call it, it’s one of the most groundbreaking automotive designs of the last fifty years of the 20th century, as indicated by this early promotional film. Yes, it’s an English car, built in Coventry, deep in the heart of the West Midlands, so here’s where the reliability jokes go including the one about the electrical system being made by Joseph Lucas a/k/a “Prince of Darkness.” We don’t really care because this thing is just so thrilling to behold standing still and we’re not even taking into account the fact that, when it works, it’s capable of nearly 150 mph. Let’s not forget The E-Types, a rock band from Steinbeck country — Salinas, CA — who made some noise in the wake of the British Invasion. Here they are on the Santa Cruz boardwalk performing their almost hit, “I Can’t Do It,” in fine fashion. 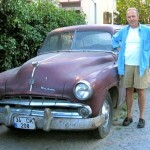 There’s also a modern era Swedish Eurodance artist who calls himself ‘E-Type’ (real name: Bo Martin Erik Eriksson). We’re talking long-lasting brand equity with that sobriquet. Almost concurrent with our Jaguar discovery was an encounter with a very different kind of car from the same time period: a 1964 Ford Galaxie 500XL convertible finished in Wimbeldon White and (very) red vinyl interior. The zaftig Ford, powered by a 390 cubic inch V8 (vs. E-Type’s 3.8 liter/232 cubic inch straight 6), makes no pretense of being a sports car, despite the bucket seats and floor mounted (automatic) gear selector. The big Ford weighed 3800 pounds, the Jaguar is 1,000 pounds lighter. 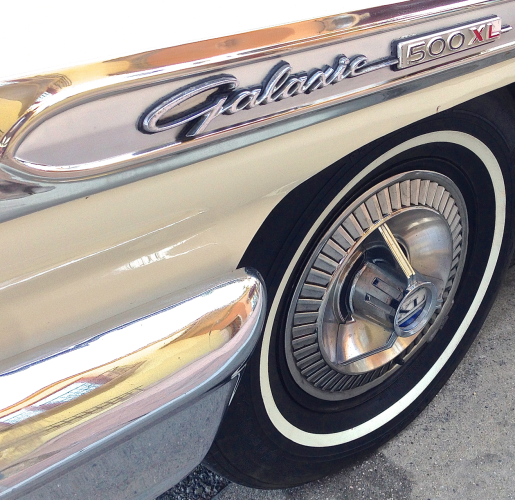 Still, we think that Galaxie is pretty cool, with its giant tailights, grinning grill, quad headlights and gratuitous chrome and concomitant colorful emblems. Our Jag doesn’t have anything of the sort yet it really can’t be called a subtle design; its silhouette is downright phallic and that, perhaps, makes more of a statement than gobs of chrome and badging slapped on. The E-Type wears but one marker indicating the manufacturer. 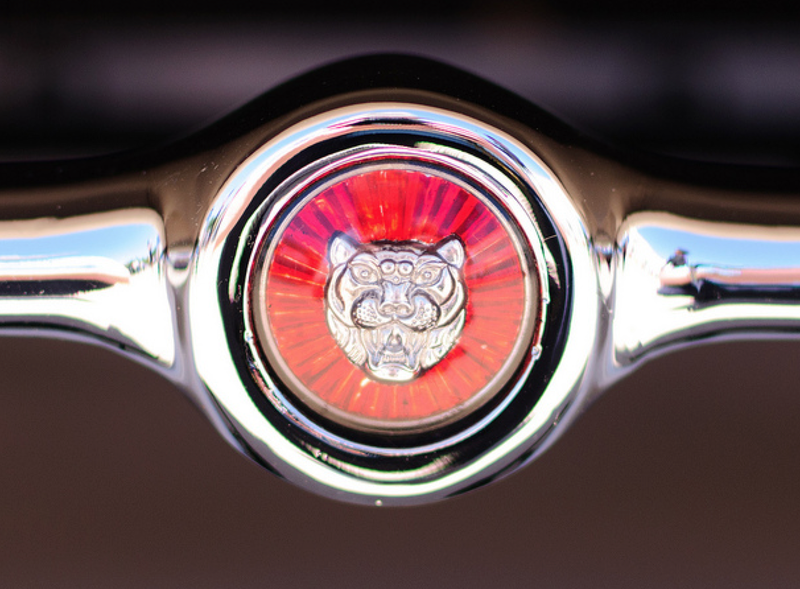 “Jaguar” on its hind quarters is the only type in evidence and there’s the cat emblem in the middle of that gaping maw of a non-grill. 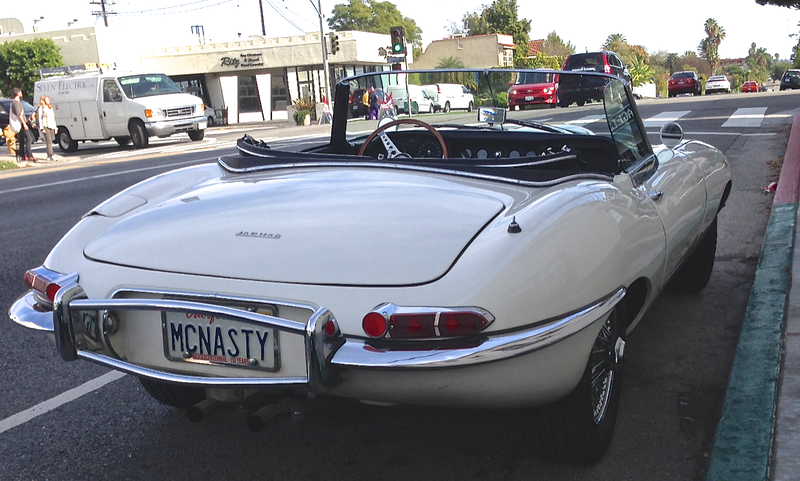 “E-Type,” (or XKE) isn’t inscribed anywhere on the car — no wonder there’s ongoing confusion about the proper designation. The Ford, on the other hand, is a rolling billboard. There’s no doubt as to what it is: a big ol’ brassy car with lots of heft, swagger and bright ‘n’ shiny stuff. What kind of Ford did you say this was? While these two are a study in mid-century contrasts we like them both a whole lot. We’re quite smitten with the Jaguar; it’s sophisticated and sleek yet vexingly temperamental. 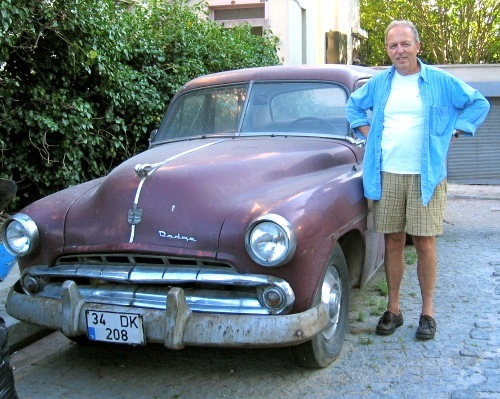 The Ford is broad, bawdy and brash — and will start up more often then not. What’s not to love about that? Click here to see the notorious suicide attempt by Mad Men‘s Lane Pryce, played by Jared Harris, whose plot to do himself in was thwarted by an uncooperative E-Type. Talk about stereotyping! Jay Leno has one that he claims works well as you can see here. And while you’re at it, see if you don’t agree that the man who drives a Galaxie 500XL “has got what it takes, a real flair for elegance, confidence and sophistication personified” in this copy- heavy Canadian commercial. 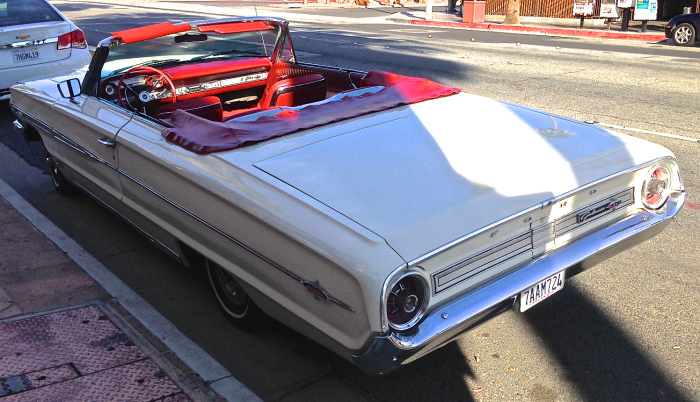 We found a clean ’64 Galaxie 500 XL convertible, equipped with a 390 cubic inch V8 just like ours, in nearby Beaverton, OR for a mere $16,000. Seems like a bargain and you can bet it’ll start when you really, really want it to. If your preference is to roll the dice and spend a wad of dough, we’d suggest this ’64 XKE that’s on offer in swanky Beverly Hills for $98,500. It could save your life should you ever want to end it. 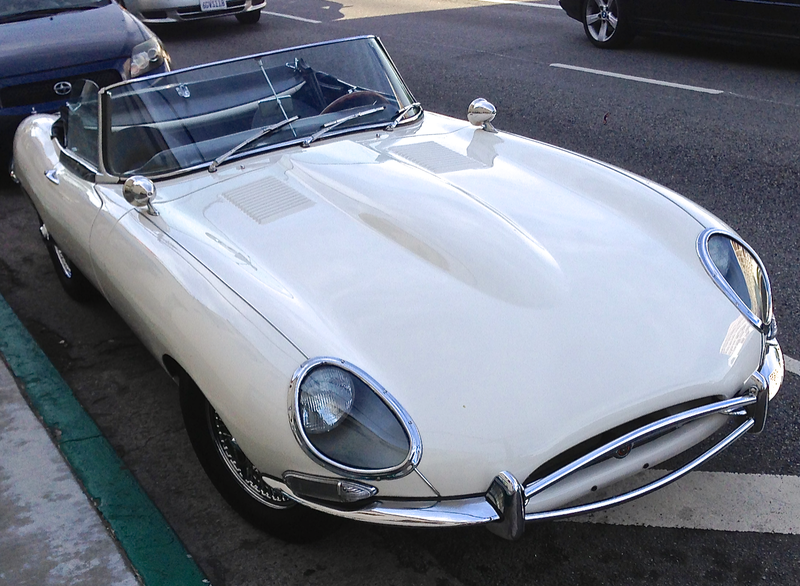 This entry was posted in Ford, Jaguar and tagged Austin Powers, E-Type, XKE on 12/16/2014 by feralcars. We were saddened to hear that Burt Reynolds’ very own ’77 Pontiac Firebird Trans Am, his Smokey and the Bandit co-star, is set to hit the auction block this week along with the Golden Globe he won for Boogie Nights and hundreds of other artifacts from the breadth of his career. Burt’s apparent reversal of fortune underscores the fact that they don’t make movies like Smokey and the Bandit anymore. 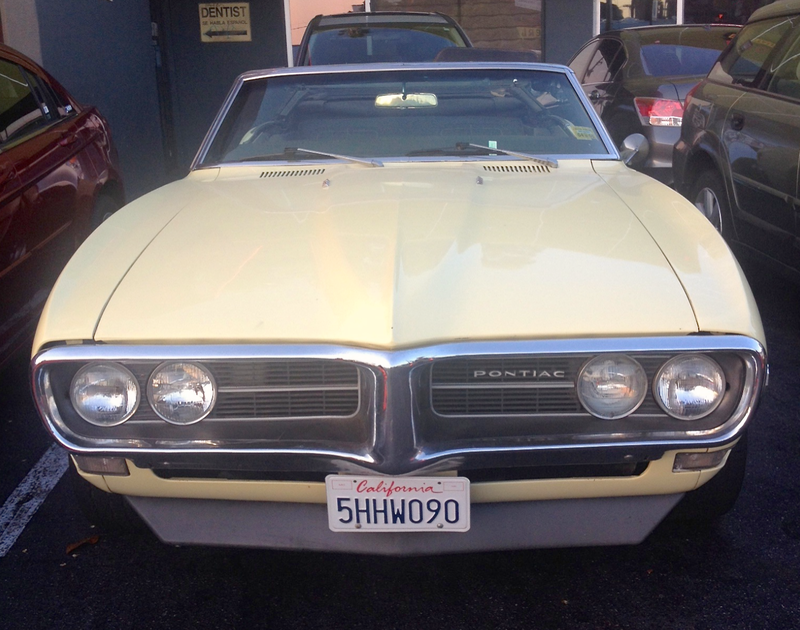 Come to think of it, they don’t make Pontiacs anymore, nor films starring Burt Reynolds. The Trans Am isn’t so much a vehicle as a holy relic of a bygone era of automotive excess and scenery chewing..
We also noted that the Trans Am of this era was listed by no less an authority than Road & Track as among the 51 Coolest Cars of the Last 50 Years. It’s not often that the louche Firebird gets to keep company with all manner of Alfa Romeos, Lancias, Ferraris, Lamborghinis, Porsches and BMWs. Aura, it seems, is not something on which one can put a price. We’ve always found Firebirds to exude an anti-social attitude, they’re a cipher for the “greaser” ethos, especially the hot Trans Am model which sports that crazy “screaming chicken” hood decal. It depicts a literal “Firebird,” wings splayed, rising from flames and/or ashes. We know a woman who was set up on a blind date back when these things were new. 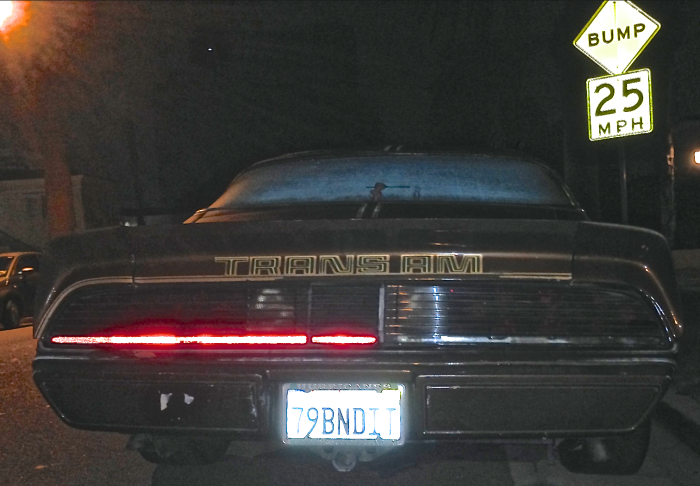 She looked through the peephole in her front door when she heard a low end rumble emanating from the driveway and was aghast to realize that her date had driven up in a Trans Am. She panicked and left though the back door, standing up her unseen date and foregoing the thrill of riding shotgun with a view of inverted feathered fury before her. The Firebird name can be traced back to a series of GM dream cars one of which we encountered during a visit to the GM Tech Center in Warren Michigan. 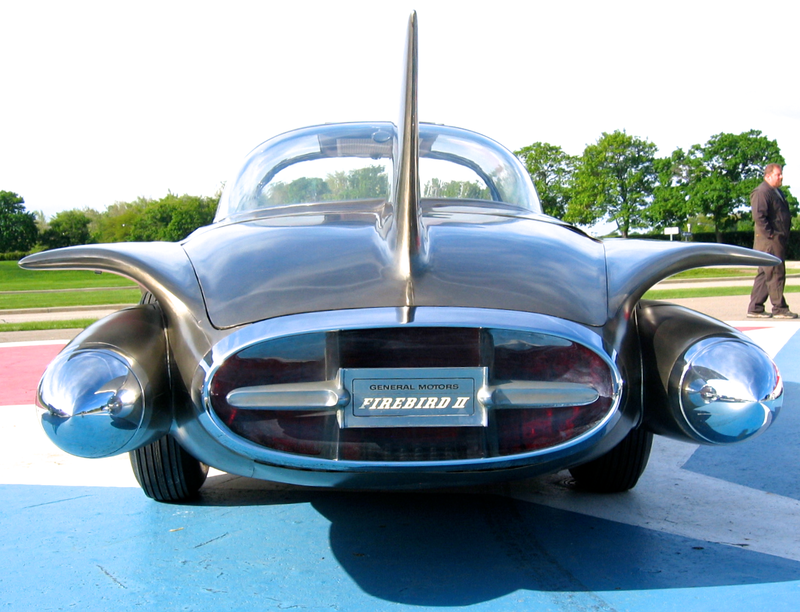 Behold the Firebird II, a gas turbine powered experiment that debuted in 1957, truly a flightless flight of fantasy. 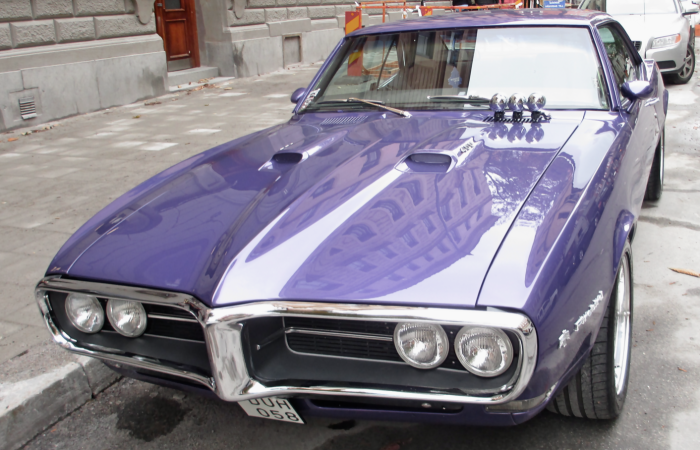 We found a first generation (’67 – ’69) Firebird on the streets of Stockholm where American muscle cars are very much appreciated. It’s not clear if the purple paint job came from the factory or was applied by the Scandinavian equivalent of Earl Scheib. Feral Cars Field Scout Heather Crist Paley found this much more subdued convertible of the same vintage back in the USA. 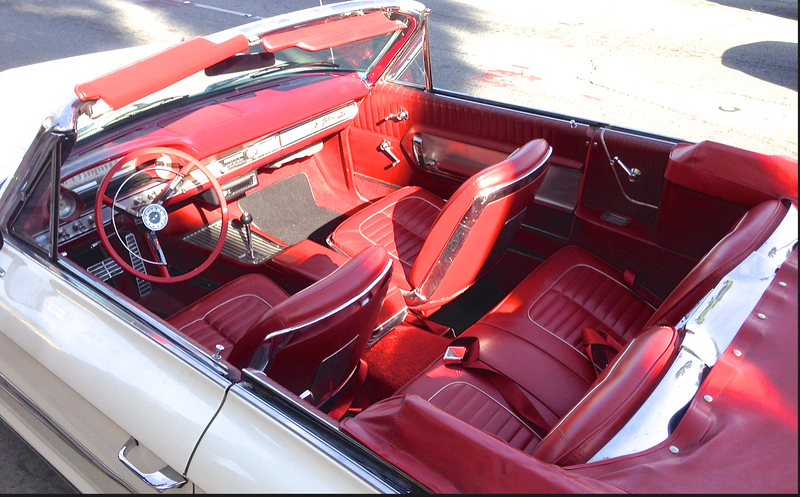 We think it looks downright civilized; who wouldn’t open the door to someone who arrived in this? The last generation Firebird didn’t endure as long as Pontiac. 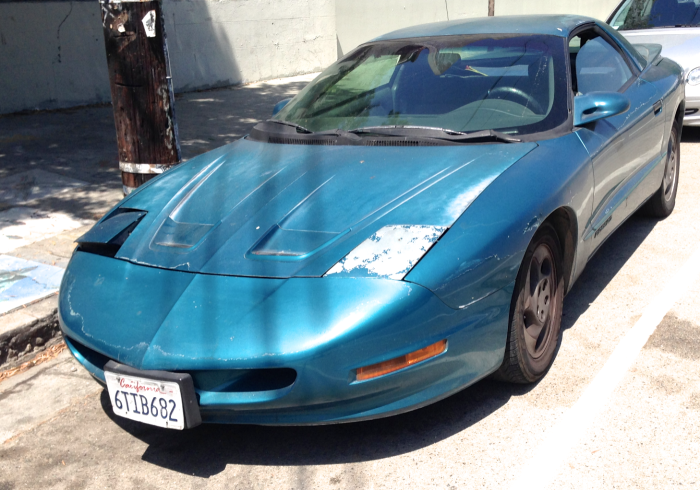 GM shut down the marque in 2009 while the final Firebirds were built from 1993 to 2002. 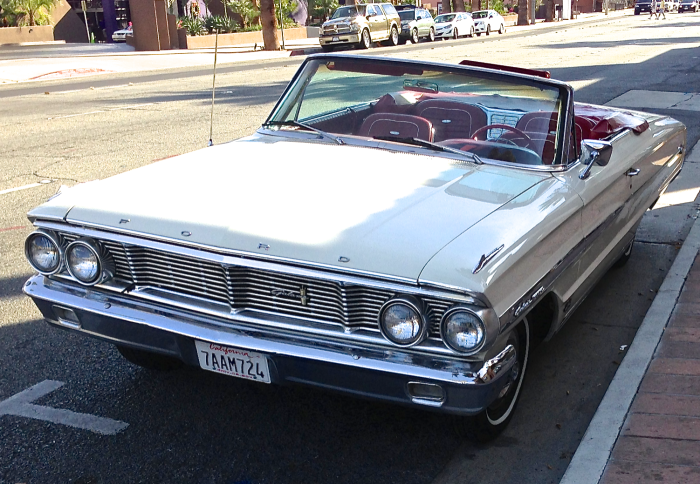 Quite recently, we saw a white convertible and a blue coupe from that era. It’s a reminder that, like Burt Reynolds’ career, the leap from renown to ridicule can sometimes be a short jump. 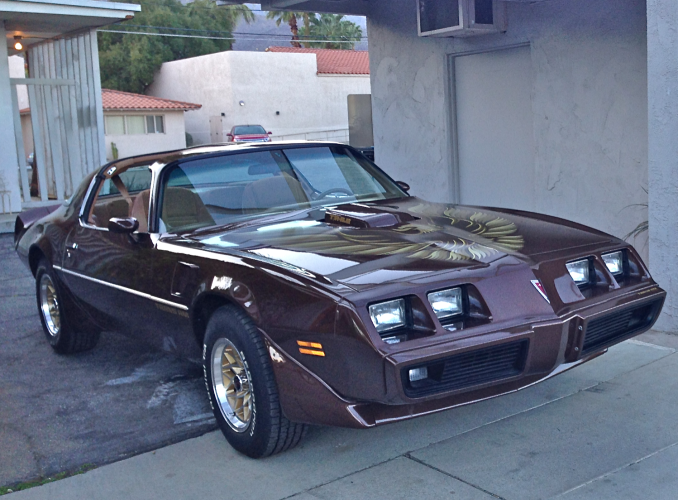 Burt’s Bandit Trans Am is expected to go for upwards of $60,000 but you can get a perfectly serviceable example for less than half that much. We like this ’78 with a mere 95,000 miles on offer in nearby Milford, OH for a just $18,500. OK, back to Burt and his Trans Am. 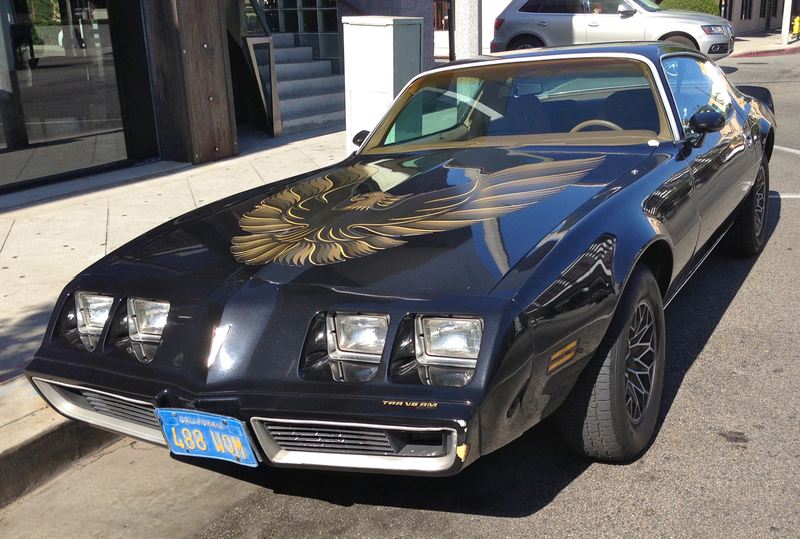 Somebody pulled some of the best tire-smokin’ Trans Am stuff from Smokey and The Bandit and posted it here. We’re lovin’ the late, great Jerry Reed’s “Eastbound and Down” on the soundtrack! 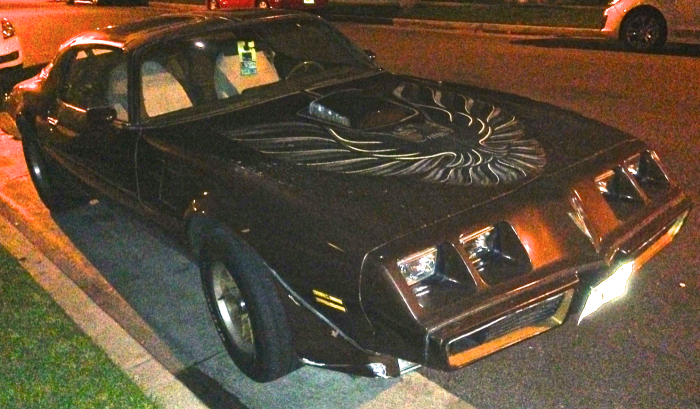 This entry was posted in Pontiac, Pontiac Firebird Trans Am, Uncategorized and tagged Burt Reynolds on 12/11/2014 by feralcars.